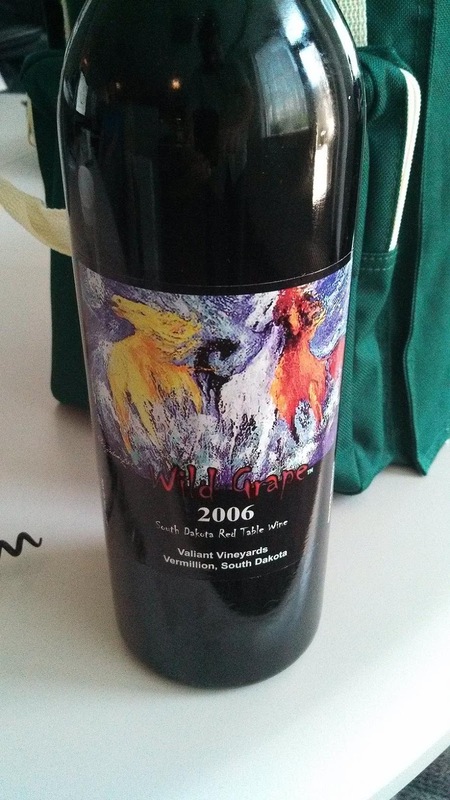 One of the most interesting wines I sampled at this Spring's Wine American Congressional Reception, was the Wild Grape Wine from South Dakota's Valiant Vineyards Winery. 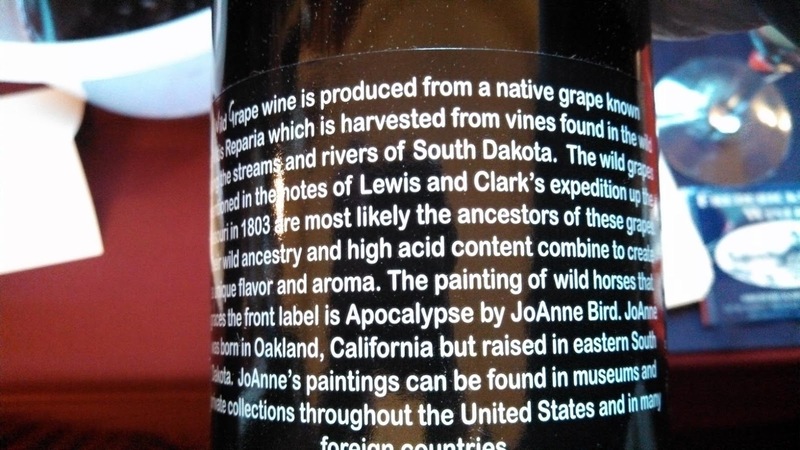 As the name suggests, the wine is produced from wild grapes - ative vitis riparia (riverbank grape) that grow along the Dakota's rivers and streams. Being native grapes, they are innately very cold-hardy and disease resistant. During the reception, proprietor Eldon Nygaard informed me that his property is located on the Vermillion River which is a tributary of the mighty Missouri River and that Lewis & Clark camped on his site. Looking at a map, one sees the influences left by the explorers, particularly the Lewis and Clark Lake and Recereation Area not far away. 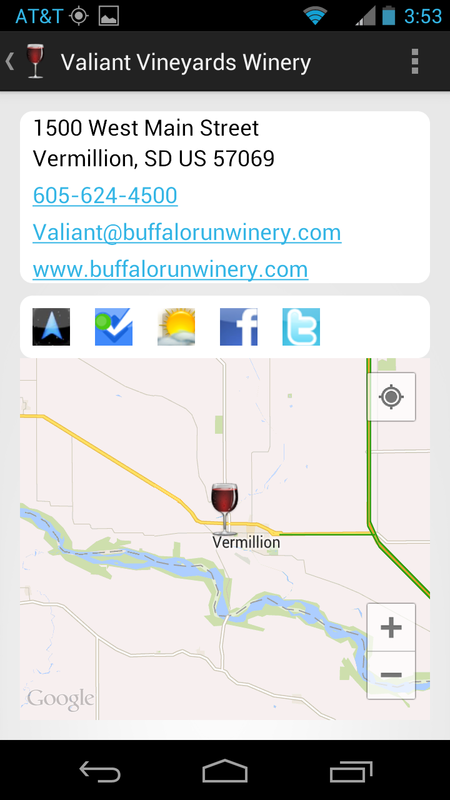 Valiant Vineyards Winery is South Dakota's first post-prohibition winery, and like compatriots inother states, Nygaard helped draft South Dakota's Farm Winery Act in 1996. The Wild Grape Wine itself is quite good, somewhat jammy as are many native grapes, but with a chocolate texture and a smooth tail. And the wine has international appeal. Nygaard showed me pictures of the wine on display in Paris wine shops selling for over 70 Euro. You don't have to pay that much in dollars - it's closer to $30 domestically. I hope my paths cross with the Wild Grape Wine one day in the future. Cheers.